Home / Blog / Camino hotels / What are Country Cottages? At CaminoWays.com you have the option to book your accommodation in some sections of the Camino de Santiago in ‘casas rurales’, what we refer to as ‘Country Cottages’. Country cottages are very unique boutique properties that have been lovingly restored by their owners, keeping some of the original features and homely traditional feel combining them with all modern comforts. Farmhouses, restored stone homes with their granaries, centuries-old priest houses and other lovely period buildings are the type of property you will find when you stay in a ‘casa rural’. Another fact that makes them special is their location in the heart of rural communities, whether a small hamlet, an idyllic meadow and other peaceful country settings. –Do they come as standard with my CaminoWays.com holiday? While some country cottages are included as standard in some parts/sections of the Camino de Santiago, most country cottages are classified as upgrades. 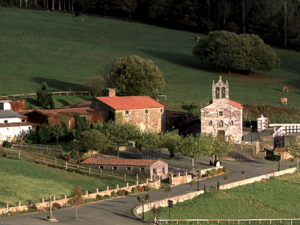 -Are country cottages located on the Camino de Santiago? Some of the country cottages we work with are not right on the Camino de Santiago path but they are nearby (within a 10km radius). -How do I get there from the Camino? If your country cottage is not on the Camino path, once you reach the end of your walk for the day, you should contact the owners of the ‘country cottage’ and they will pick you up from the Camino trail. They will take you back to where they picked you up the following morning after breakfast. -What’s special about a Country Cottage? Country cottages are truly special family-run properties where you will enjoy not just superb accommodation in unique properties but also the best of local cuisine and hospitality. If you are looking for a quiet property with rural charm, a country cottage is perfect for you. 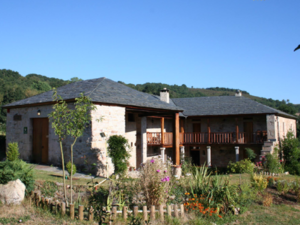 We work with some stunning country cottages in Galicia, León and other parts of the Camino de Santiago, such as award-winning A Parada das Bestas in Palas de Rei; Rectoral de Goián in Sarria; Casa Brandariz in Arzúa, Casa Casarellos on the Vía de la Plata, Paraíso del Bierzo in Herrerias, O Acivro in Rúa and many more. *Ask the CaminoWays.com team if you’d like more information on country cottages, availability and how to book your Camino de Santiago holiday: info@caminoways.com. Thank you for getting in touch Christopher, our Customer Care team will be in touch to review your booking. Kindest regards. Hi Gillian, that should be no problem. Just let the team know when you request your itinerary and they’ll be able to advise. Kind regards. is it possible to stay in some country cottages and then other nights closer to the towns? Is there a possibility of staying in some country cottages and some standard accommodation in order to stay closer to the Camino? My wife and I are planning a trip in the spring. Can you tell me if the “Standard” accommodation is only for one person or can two people stay in one room? Or do we have to book a Country Cottage for two people to share a room and bed? Thanks.